^ can you spot the red flag? 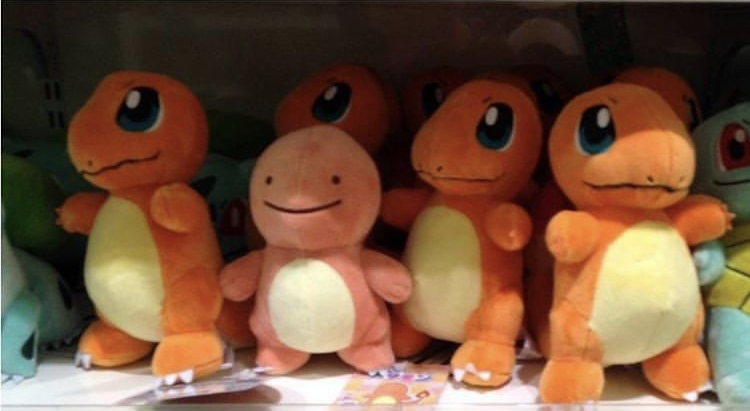 also me, trying to blend into…anything. What are some red flags to look for in a property? Let me illustrate a situation that should be fairly relatable: your friend is dating some poor excuse for a human but it seems casual and purely to pass time by until !!WHAMO!! they’re ring shopping and planning for forever. Immediately you trash all sense of sympathy and prepare to assault your friend, who has a presumedly warped sense of reality, with the truth. You’re basically going to hit them with a goddamn color guard procession of red flags as to why their beau is a bust. 9/10 times the conversation will go poorly, your friendship is frayed, and you’re left maddened as to how someone could not see all the glaring issues that they are willingly planning to inherit. 1.HDFC coops – I wrote about this many moons ago as the price tags for these properties are so insanely low that buyers immediately go zero to ninety into a “NEED-TO-SEE-NOW” mode. HDFC, or Housing Development Fund Corporation, properties are income-restricted co-op housing intended for low-income New Yorkers. They have very rigid income caps, outrageous flip taxes, and are a government regulated purchase. Ideal for asset heavy individuals with low income roles who don’t intend to leave the coop for a very long time. 2.Low floor – The floor your property is on makes a huge difference. Many potential buyers won’t consider anything under the 3rd floor due to the obvious issues of street noise and low natural light. Prices for ground/1st/2nd floor are more favorable than higher floors, particularly in elevator buildings, but that will sorely cap resale value and also limit your buyer pool when you go to sell. 3.High maintenance & assessments – Does the maintenance seem crazy high? Are there some monster assessments currently enacted or on the horizon? That’s a very clear red flag that you should inquire about. The building could have an extremely low reserve fund and in turn have a high maintenance to rebuild the coffers. The underlying mortgage could be particularly massive. These numbers are reasons to question the financial stability of the building, which as an owner you’ll inherit and then good luck trying to pass off such a mess to a savvy buyers with thorough brokers. 4.Land Leases – Going off that high maintenance thing, if you see a crazy high maintenance and then the designation that it is a Land Lease building, BOOM another red flag. A land lease is when the building doesn’t own the land it sits on but rather pays rent to an independent owner, payment of which is collected through additional maintenance charges. Lease terms run from 50-99 years and theoretically if the coop doesn’t renew it’s lease with the owner, everyone flat out loses their property and is evicted. This has never happened…but it’s a logical possibility. Land lease properties are about 20-30% less than comparable home however banks are very apprehensive to lend in them due to uncertainties of the ownership. Also if the lease expires in 20 years, a bank will not give a 30 year loan. However these properties are still regularly bought and sold just with more apprehension and extremely thorough due diligence. 5. Seeing the words “excellent investment/tenant in place” – Generally this means there’s a tenant in place with a lease of unknown duration, so while you are the legal owner when you purchase, you are stuck with a tenant on a legally binding lease until that lease terminates. In the event that this individual is rent controlled, you’re stuck with a tenant paying little to nothing with the only termination of their tenancy being death or their moving out on their own accord, the latter of which never happens. 6. For sale by owner properties – A listing mentioning that the seller is ‘going at it alone’ is a red flag that the price is too high, there are circumstances not being disclosed, or the seller is inexperienced or unreasonable. While none of these may be true, most professionals in the real estate community would agree that this is the case more often than not. Real estate remains a ‘caveat emptor’ a.k.a. a ‘buyer beware’ market. If the seller does not have someone advocating for them, you need to be sure you have a professional advocating for you. 7.Strict coops that will torment you in the process – Does the coop state no subletting, no pets, no pied-a-terres, no co-purchasing, no gifting, no parents buying for children, crazy amounts of liquidity post-closing, a lower percent allowed for financing, and no fun in general? Not that these buildings are bad or red flags, but it means you’re entering a stricter coop that will be a bit of a more arduous purchasing process, which your eventual buyers will also have to endure. Glass half full, these are often the most financially stable and strict about making sure all owners are professionally qualified with strong assets. 8. (half serious but actually serious) Bathtubs – People love bathtubs. Granted I could not be further away from having a child so I’m assuming that factors into things, but bathtubs are often a deal breaker. So if you can find a property with a bathtub, that will weirdly help resale. Again, this is probably a baby thing and I don’t know why sinks don’t suffice but please just ignore my ignorance.